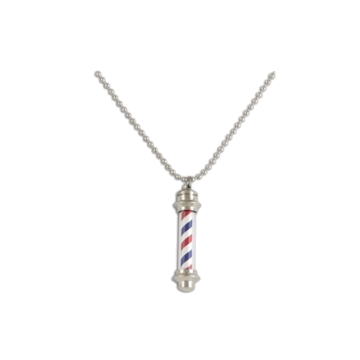 The classic red-white-and-blue barber pole has been recreated in a necklace that lights up. Wear it on the 24” ball chain as a casual, mid-chest length necklace, or add it to your keys as a fun memento to show your pride for your career. Includes two sets of batteries.